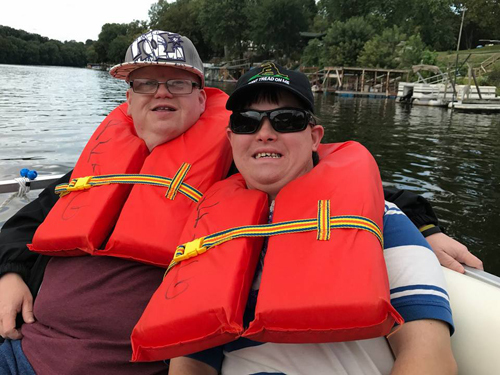 "To provide a supportive and challenging living and working experience for people with special needs, without regard to race or creed and to do so with respect, dignity and love in the name of Christ." Over forty years ago, Richard and Audrey Tebbs gave birth to their third child, a baby girl who they named Anita Lynne. Anita Lynne was born with profound disabilities including cerebral palsy. 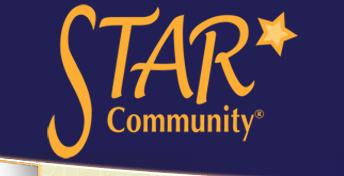 Star offers a comprehensive range of residential, day program and equestrian opportunities based in faith and executed with love and respect for the individuals served. 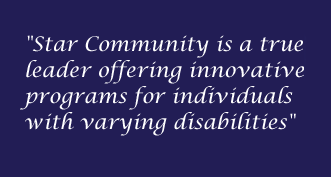 Instead of institutionalizing their young daughter (which was customary at that time), the Tebbs transformed their lives into a cause for celebration and founded the Anita Lynne Home in 1970—a place that had the warmth and closeness of family coupled with staff skilled in teaching children with intellectual disabilities. It was their vision to do all of this in a Christian atmosphere. TITLE VI OF THE CIVIL RIGHTS ACT OF 1964 PROHIBITS DISCRIMINATION ON THE BASIS OF RACE, COLOR, OR NATIONAL ORIGIN IN PROGRAMS AND ACTIVITIES RECEIVING FEDERAL FINANCIAL ASSISTANCE. 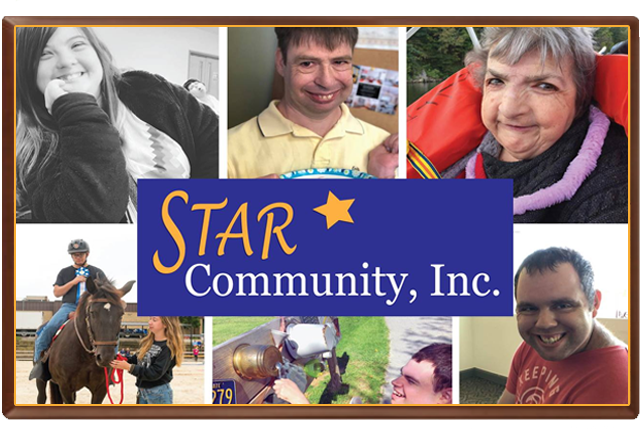 STAR COMMUNITY INC. IS COMMITTED TO ENSURING THAT NO PERSON IS EXCLUDED FROM PARTICIPATION IN, OR DENIED THE BENEFITS OF ITS TRANSPORTATION SERVICES ON THE BASIS OF RACE, COLOR, OR NATIONAL ORIGIN, AS PROTECTED BY TITLE VI IN FEDERAL TRANSIT ADMINISTRATION (FTA) CIRCULAR 4702.1B.